With a UK prison population of more than 80,000 and a staff of some 43,000, the job of keeping the prison sector well-fed every day is vital. Food plays an important part in maintaining morale and promoting the good running of an institution. 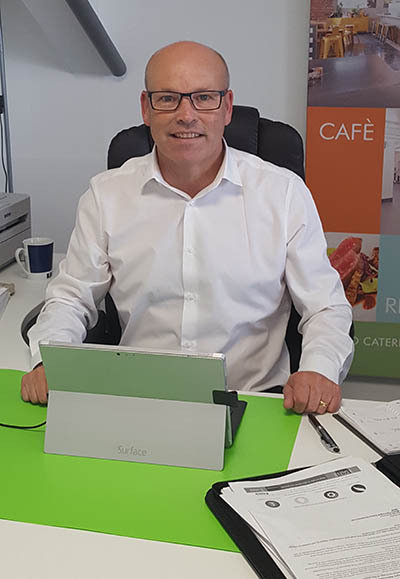 Whitco MD Tony Butler is a specialist in the custodial sector and reckons he’s spent more time behind bars than he cares to remember - all in the interests of customer service of course. Whitco’s experience of working in the custodial sector stretches from Edinburgh to Wiltshire in prisons and centres up to and including Category A prisons. 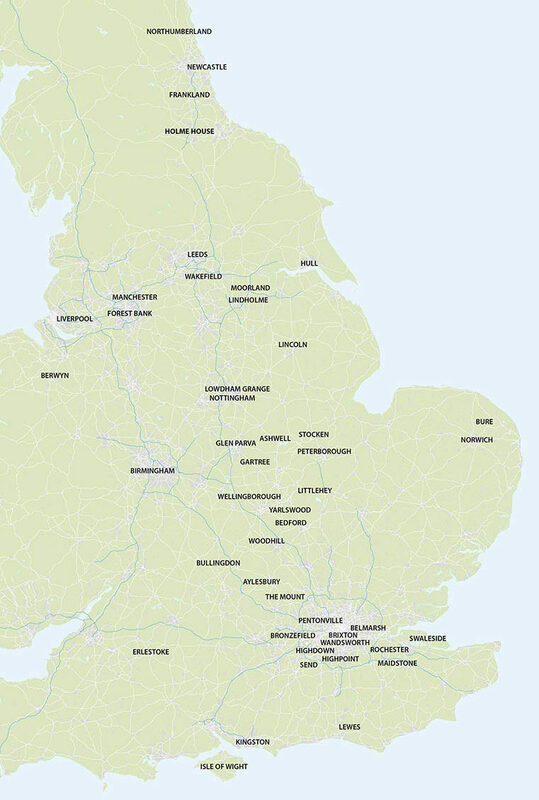 Hover over any of the hotspots on the map on the left to find out more about the type of projects we have carried out. The Ministry of Justice is spending £1.3 billion as part of an ambitious programme to modernise Britain’s jails. Victorian prisons are being modernised, modern ‘super jails’ with accommodation for many are built, or in the pipeline and closed prisons are being reopened. The number of people in prison in the UK has risen from a little over 50,00 in the mid-nineties to about 85,000 today with that number forecast to rise further. In the process prison sizes in the UK are increasing. HMP Berwyn, opened in 2017, is the UK’s largest prison (and the second largest in Europe) with 2,100 inmates. Whitco MD Tony Butler has been helping to feed the custodial sector for more than 20 years. He has worked in prisons throughout Britain and Northern Ireland and has seen the changes for himself. Kitchen sizes are increasing in line with the augmented size of prisons, but the main elements of his work have remained unchanged. 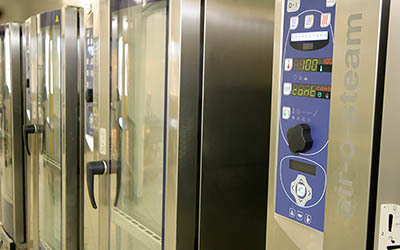 Supplying and fitting catering and bakery equipment in a prison is much like working in any other commercial setting, he says – apart from the obvious need for security at all times. 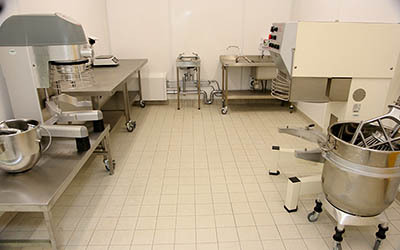 Tony says that “sterile” environments such as new build or closed facilities are easier to work in than in the middle of an operating prison kitchen, but the Whitco team has plenty of experience of both. 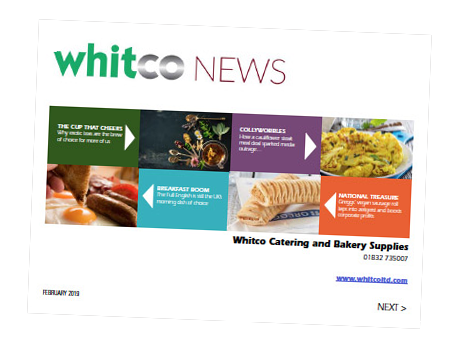 At the same time Whitco have also supply and installed training kitchens to help inmates build a career in the catering industry outside by gaining NVQ qualifications. Some UK prisons have gone so far as to open and run successful commercial restaurants on site to train staff to gain valuable experience. Just like any catering establishment prisons need to be able to rely on the quality of their equipment, and count on a speedy and reliable service when things go wrong. And in the pressure-cooker atmosphere of a closed community, the supply and provision of good food, often with a local or ethnic bias, is immensely important.